Why on earth would we think of creating a rock garden in “Flanders Fields” and turn our garden into a mountain scenery ? 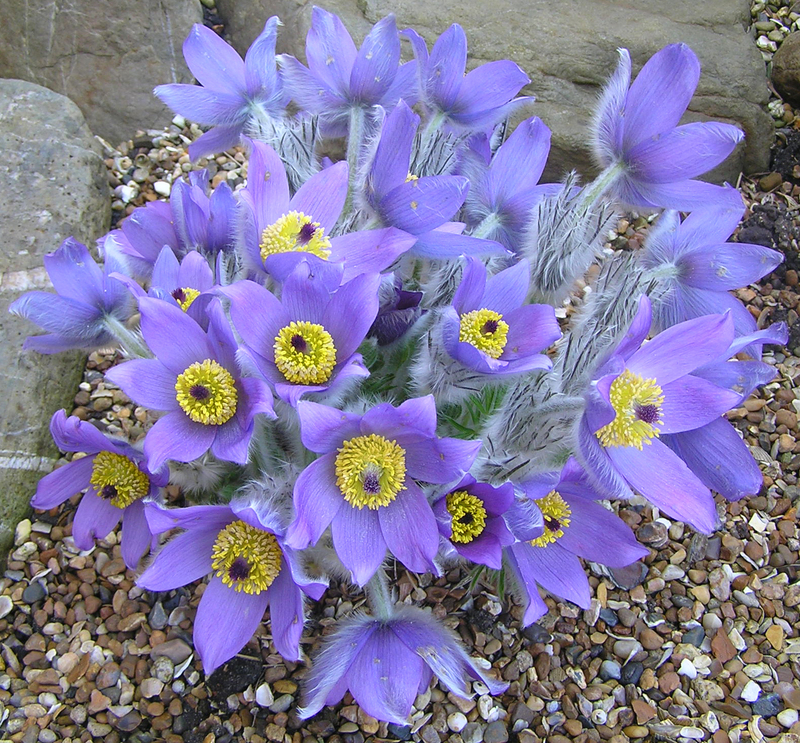 Well, creating a rock garden and/or collecting and growing “alpines” in any form or way, has lots of advantages. Not in the least, the fact that it allows to express one’s gardening ambitions and skills, even in the restricted space of often quite small gardens that modern Flanders counts nowadays. 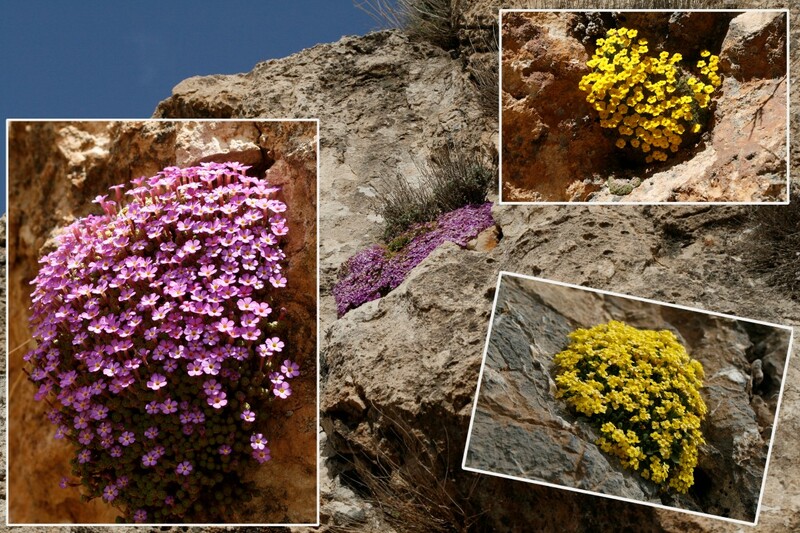 Many alpines remain compact and are ideally suited for this type of garden. Even the smallest of gardens offers plenty of room to grow and flower a huge array of the little gems that nature produces in the mountains. Even if one is limited to the use of containers, troughs or bowls, there are plenty of possibilities to harbour a surprising number of these miniature plants. 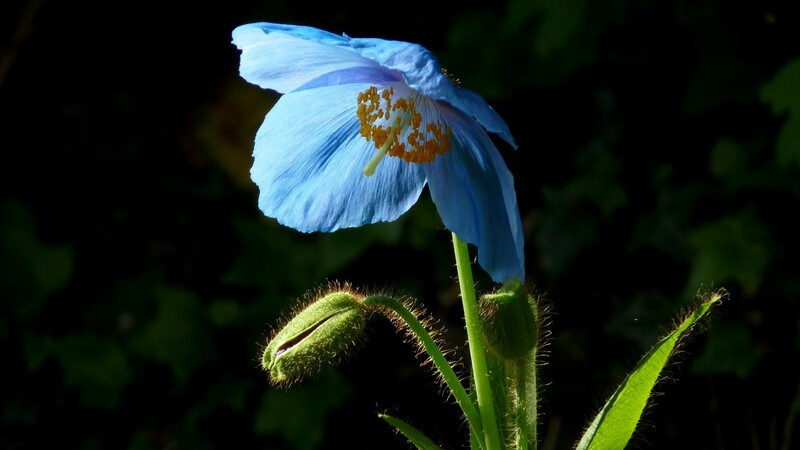 Under these conditions, these fragile beauties will most certainly thrive and their beauty can be observed closely. 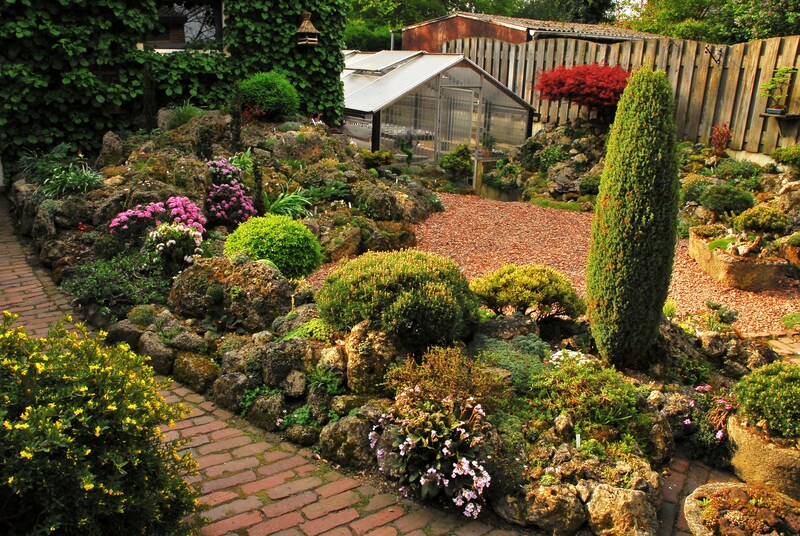 People with a larger garden even have less limitations and restrictions to get started with this nice hobby of growing Alpines, although acquiring enough rock and stones can literally be a stumbling block. A special form of rock gardening called a “recycling rock garden” , making use of some old building materials such as pavements, etc… can bring a solution here. These recycled materials are perfect to create differences in height or copy mountain biotopes (crevices, ledges, screes…). There is hardly another gardening style that comprises such a vast range of plant categories. Plants from all corners of the world, from all mountain ranges and from all continents can be found in our rock gardens. Be it the Alps, the Rockies, the Himalaya’s, or China, New-Zeeland or the America’s : all are represented in our hobby. There are also many possibilities in form or style : crevice gardening, tufa gardening, screes, troughs, vertical cliffs, raised beds, retaining walls, an alpine house, peatbeds, etc… take your pick ! The use of water in the rock garden, a pond or a little stream or waterfall, is an added bonus : it brings the “mountain feeling” right into your garden. Our belief in our hobby is “rocksolid” and if you want to learn more about this superb way of spending some free time, do not hesitate to contact one of our members. In our society, you can get many questions answered ! Flemish specialists will help you unravel the mysteries of the mountain flora and your own dream garden will become reality. to share and increase knowledge and experience. What does our society offer ? You can become a member of the VRV by sending 20 € directly to the bank account of the Vlaamse Rotsplanten Vereniging (see below). If paid after June 30th, the rate will be 12 € for 6 months membership. It’s also possible to pay for 3 years membership for 60 €, so you will not have to pay for higher membership fees in the coming 3 years. Foreign members : 22,50 € per year or 67.50 € for 3 years. New members joining after June 30th pay 13 € for 6 months.